Click on article title to view article and all related comments. 1. I would need a wife that makes $62,175. 2. I would need a wife. 3. Based on the last ones I would need $124,350. I'm guessing no one can afford my milk. Thanks so very much to all the sponsors of this show. It is so nice to be able to see when you cannot attend. It's the next best thing to being there. I'm trying to figure out how the guerrilla isn't already involved in this. Does the United States not participate at all? Wouldn't it be easier to look at the sale catalogs than ask me? 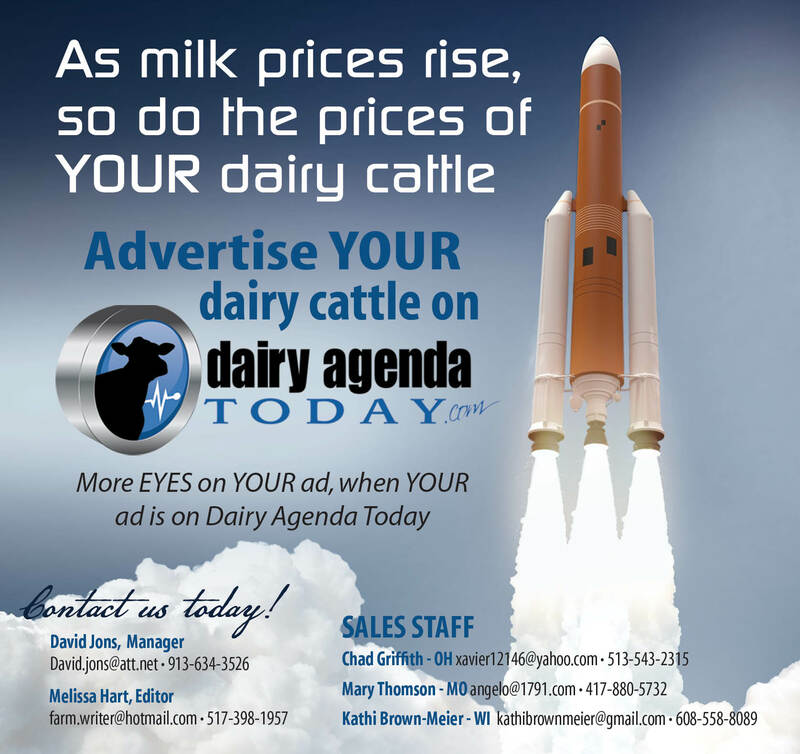 Dairy Agenda Today reserves all rights to delete comments that do not align with the integrity of the site. Negative, derogatory, profane, etc. comments will be deleted immediately.